AMD has released the Catalyst 12.8 driver for Linux systems recently bringing some improvements and bug fixes. 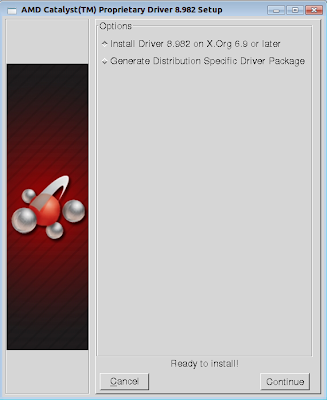 This driver is based on the fglrx 8.982 release and it improves support for Ubuntu 12.04 LTS. In this tutorial, we will as usual help you install the AMD Catalyst 12.8 driver under Ubuntu/Linux Mint systems. 1 comment to ''Install AMD Catalyst 12.8 drivers in Ubuntu or Linux Mint"
I'm new to Linux (using Mint 14.1) and this little guide helped me a lot.